It’s a downright radical (or reactionary) publication (for the sake of complete transparency, I have a lifetime subscription), but this pre-Vat. II take on the flim-flam of films is, I think, right on. It was, after all, written by a member of the “greatest generation” – how could it be wrong? Thanks for doing our work for us, SDG! Oh, look – a film in which religion is taken seriously. In particular, the way that religion influences a person’s identity, and the way experience influences religion. It’s full of the kind of ecumenical politicking that gives JOB gallstones, but other than that, it’s outstanding Catholic Family Viewing. Very fine performances, especially Aurelien Recoing as John Paul II. Martin Scorsese will finally realize his long-held dream to direct Silence, an adaptation of the Shusaku Endo novel about 17th century Jesuits who risk their lives to bring Christianity to Japan. Financing for the film has been secured […]. The plan is to shoot in Taiwan in July 2014 […]. DEADLINE: You’ve tried to adapt the Shusaku Endo novel Silence, about 17th century Jesuits who risk their lives to bring Christianity to Japan. It isn’t commercial, it has been hard to finance, but it looks like you’ll finally get your chance to make it. Why has it been so important to you? DEADLINE: We Catholics are always struggling for answers. 28 Comments Filed Under: Catholicish writers, Diversion, for self-examination, kulture klash, moviegoing, priest movies, the God problem, the problem of pain, Things to discuss with Walker Percy over drinks Tagged With: *I know no such thing., Easy Riders and/or Raging Bulls, Endo, Existentialist Tomfoolery, Hey: Why not achieve your dreams?, Japan, Jesuits, Scorsese, To become aware of the possibility of the search is to be on to something. Catholic film critic Steven Greydanaus has written a fine essay and appreciation of Roger Ebert. “You don’t know what it’s like to be up to your neck in nuns.” That’s what the housekeeper says to Fr. 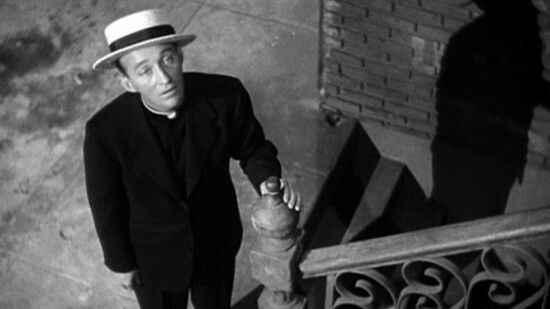 O’Malley (Bing Crosby) upon his arrival at St. Mary’s. The priest Fr. O’Malley is replacing has been sent away to some unspecified treatment center or home for addled priests or some such. But Fr. O’Malley does just fine, of course, because he is in reality a smooth, suave, golden-throated singer from Spokane, Washington, with more than a few man-of-the-world style tricks up his priestly sleeves. Ingrid Bergman as Sister Benedict is positioned as Fr. 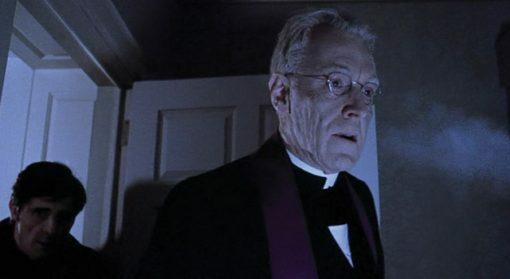 O’Malley’s ostensible nun-nemesis, but the two of them generate such a warm glow that all the rest of the movie has to do is meander around them and bask, which it does in pretty fine fashion. The ostensible Mr. Potter-like villain of the movie is played by the same actor who would, the following year, appear as the angel Clarence in It’s A Wonderful Life, and that just about says it all. Everything is wonderful here. The villains are actually angels, and the problems are actually just occasions to sit down at the piano and knock out a little tune while doing good and being tricky in the service of the good. And then there are the nuggets of wisdom like this from Sister Benedict: “You don’t become a nun to run away from life, Patsy. It’s not because you lost something but because you found something.” Enjoyable.